June 9, 2019 10:30 a.m.
Resurrection Parish is so excited to rejoice in our Jubilee Year with each of you! With joy we welcome you, our family, to celebrate with us in renewing our faith and connecting with our welcoming, inviting, and loving community. We will commemorate our 50th anniversary with a full year of celebrations, commencing on the Feast of the Resurrection and concluding Easter of 2020. This 50th anniversary year holds the promise of many blessings. We hope you will join in celebrating with joy and gratitude all that we’ve received from God and opening our hearts to the many blessings God has in store for our parish in the years to come. Our year of celebration will begin on April 27th, the Saturday after Easter, with a five-day Parish Renewal given by Fr. Simeon Gallagher. 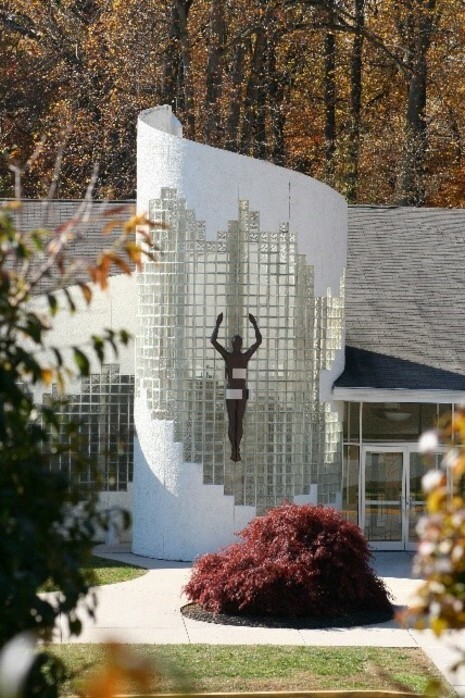 On June 9th, Pentecost, we will celebrate our 50th Anniversary Mass, which will be followed by a reception. 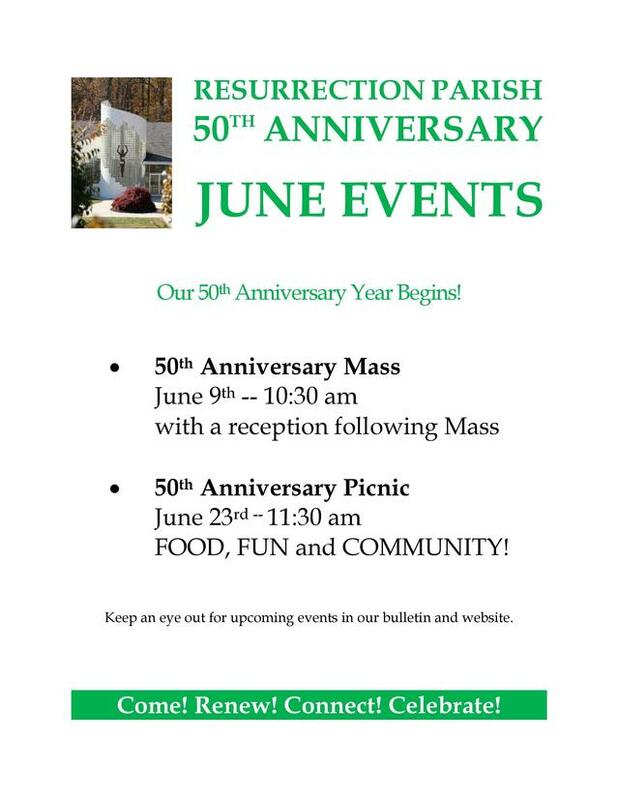 The 50th Anniversary Picnic will be held on June 23rd, the day we celebrate the Body and Blood of Christ. At the beginning of Lent 2020, as we near the conclusion of our year, we will prepare for Easter by again gathering with Fr. Gallagher for another five-day Parish Renewal. God our Father, we praise you for all your wonderful works, and we thank you for your goodness to us. All who come to you in faith receive healing, comfort, and peace. Give us expectant hearts as we prepare for our upcoming Parish Renewal. Help us to recognize your Son, Jesus, more clearly in the Eucharist. Increase our anticipation for this Renewal and help us to witness to others with an invitation to join us. May our calendars be freed up so that we can participate more fully, and may our Renewal be a great moment of grace for this faith community. We ask this in the name of Jesus, our Eucharistic Lord. Amen.